Fiona qualified as a podiatrist in 1985 from the Central Institute of Technology at Heretaunga, Wellington. Fiona started out as a locum in Auckland and after three years went to the UK and worked for the National Health Services as a Chiropodist in hospitals and community clinics in the Borough of Harrow for seven years. After returning to New Zealand in 1995, Fiona's first practice was offering Podiatric services on the North Shore. Since 2008, Fiona has been working as a caring health professional in her business 'Complete Feet Podiatry' in Whangaparaoa. Fiona sees a wide age group of patients, from young children to adolescents as well as middle age and the elderly. Fiona's work experience over the years has enabled her to accurately diagnose and treat all foot complaints with care and at a high professional standard. Fiona is a current member of Podiatry New Zealand and holds a Procare Podiatry Diabetes Services contract. Fiona is ACC registered and also offers Veterans Affairs treatment. Why choose Complete Feet Podiatry? We offer a complete Podiatry service, providing treatments relating to the health and function of a person's foot, ankle and lower leg. 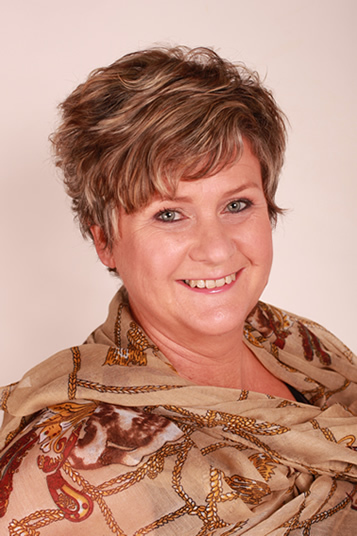 Our head clinician, Fiona Stark, has over 30 years experience in the podiatry field and has a passion for providing her patients with the best service possible. The first step towards pain-free, healthy and happy feet is to schedule an appointment, so we've made it easy for you to book an appointment online now. With our wide range of professional podiatry services, we can help heal your unhealthy, painful, or unsightly feet. Call today or book an appointment online now.